There will also be a class for AOC, for other factors which fanciers successfully transfer over to Classic Frills, such as milky, reduced, opal, etc. It should be noted that these factors must also have the telltale marks of Oriental Frills, and that is the Toy Stencil and Frill Stencil Factors, in combination, so that the same requirements stated in other parts of the standard are applicable to any new color factor added to the gene pool. Satinettes are white except for a colored shield and colored tail (including about half of the rump and the wedge to the vent). Ash Red birds are to have clear and obvious tail color and markings (It should he noted that it is most difficult to achieve the same quality of tail markings in Ash Red/Ash Yellow birds as in other color varieties). The shield is laced or barred. Spread birds have a laced tail. Non-Spread birds have a barred tail with white Moon Spots. The shield bars are to be White. The inside of the laces on the shield are to be White. The inside of each Moon Spot is to be White. 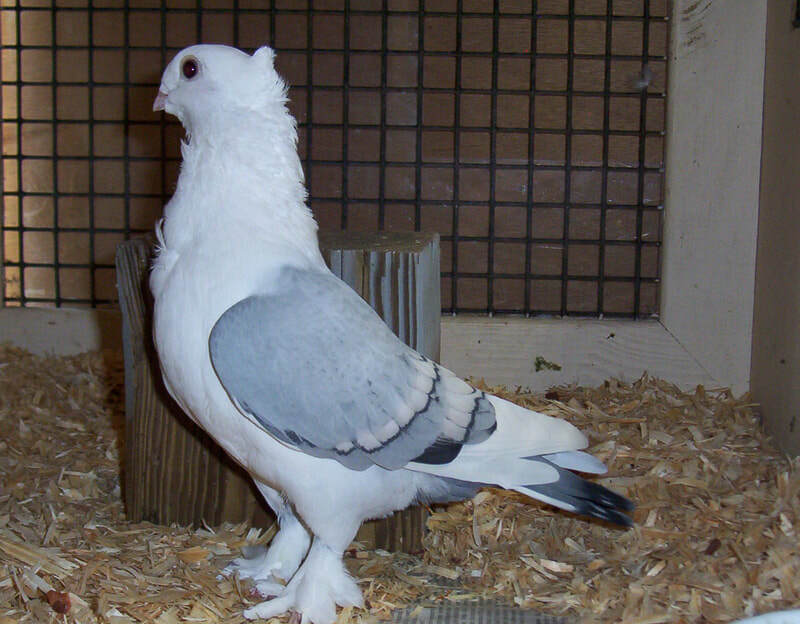 The inside of each laced tail feather is to be White. There should be a clear delineation between the lacing and the ground color. The bars should be clear, long, even and narrow. 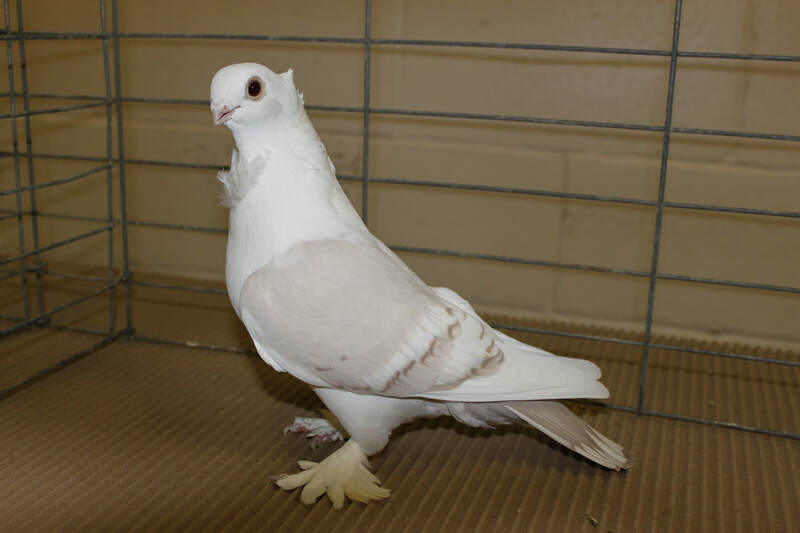 The ideal is 10x 10 white flights, always with colored thumb feathers. White thumb feathers will be penalized. 7 to 10 white flights are allowed, with even numbered flights preferred over odd numbers of flights on opposing wings. There is to be an even line of demarcation across the rump between the colored tail and white back. This line falls about half way between where the wings first separate and the actual beginning of the tail feathers. An even line, both top and bottom, is more important than the actual location of the line on the rump. The same description applies to the Blondinettes with the exception that the Blondinette is a whole colored bird and has no solid white feathers. In Spot tail version of Blondinettes, usually just the tail and the wings show Toy and Frill Stencil. In Laced Tailed varieties, the lacing usually extends over most, if not all of the body--these are usually the spread factor birds.